The traditional “Cold” call, is a spray and pray process, where sales people believe that every customer out there is a prospect. They randomly select new prospects and believe that as sales is a numbers game, the more people they can randomly contact, the greater the likelihood that one of them will buy from them. Yes of course in a few rare cases, prospects are in their buying cycle and the lucky sales person, actually does hit pay-dirt, where they acquire a new customer. I believe that “Cold” calling is nothing more than a sales person’s poor attempt at appeasing their sales leadership. They spend their sales day calling on a number of new prospects, which allows them to populate their call sheet with a whole lot of new prospects. On paper this looks really great and in the short term, their sales leadership, believe that they have a full sales pipeline and that they will be successful. The truth is that as time passes, these poor sales people, despite the fact that they are working their tails off, never seem to become successful. The reason for this, is that they waste an inordinate amount of their sales day chasing after or trying to communicate with prospects, who don’t have time to waste on “Cold” outreach. People have the attention span of a gold fish and don’t respond well to “Cold” calls. Gatekeepers are well trained and they simply will not allow unprepared sales people, who use “Cold” calling sales techniques to reach the decision maker. “Cold” calls are so ineffective that sales people can only reach people really far down the food chain. They make the sales person feel warm and fuzzy, because they met with someone, but deep down these sales people know they are wasting their time. As sales people, who use “Cold” calling as a sales tool, know only too well, they only deliver practice proposals. These are proposals that they spend hours preparing for the wrong people, who are unable to make a buying decision. “GOLD” calling on the other hand is a STRATEGIC approach to selling, which starts with a sales professional, who has a crystal-clear understanding about their value proposition. They also know that once they have identified their perfect future customer, connecting with the requisite stakeholders is a process that requires preparation, planning and a multi-faceted communication strategy. Identify your perfect FUTURE customers, who needs exactly what you have to sell. Depending on your industry, choose between 30 – 50 perfect future customers, which you will focus on acquiring. (I call these my Magnificent 50). Develop a communication strategy to connect with each one. Use multi-channels to consistently communicate, connect with and engage with each person at each of your MAGNIFICENT 50 future customers. 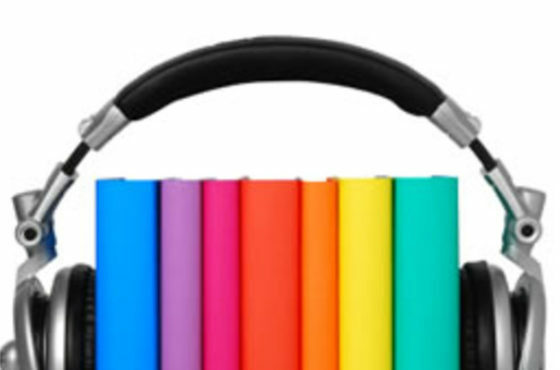 Use Automated systems to schedule and send out valuable information in the form of eBooks or e-zines. Attend networking events, where your magnificent 50 future customers hang out. Leverage all your communication assets to support you to gradually connect with and eventually engage each individual. Keep searching for innovative ways to consistently add value to all stakeholders at your magnificent 50. 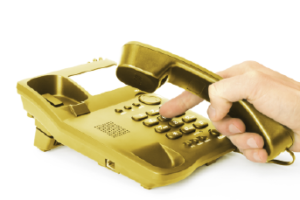 Why choose “GOLD” calling over “Cold” calling? 82 % of decision makers viewed at least five pieces of content from the winning partner (Vendor), before making a buying decision. What does the research above tell us? Creating meaningful content and having a powerful social media presence is no longer a nice to have, it is a crucial part of any sales process. Understanding how to consistently add meaningful value to your future customers is crucial. As a sales professional, you cannot have a one size fits all approach towards your customers any longer. You need to innovate and customise your approach towards each future customer. You need to consistently send valuable content to your magnificent 50, so that they can develop an understanding around how you can support them into the future. I am sure you are looking at all the above and thinking, wow that is a lot of work. The truth is that your customers and markets have changed. Attempting to use the old outdated sales tools and techniques that worked in the past, will just not cut it today. If you want to be successful as a sales professional in the future, you need to adopt these new ways of connecting and engaging with your future customers. I don’t see this as work at all. I see it as a way to revitalise and re-energise you. This new way of selling makes selling interesting and will help you to feel excited about selling again.. In the next article in this series of articles, I will dig deeper into each specific concept and give you tips and ideas on how to implement your own effective sales process.